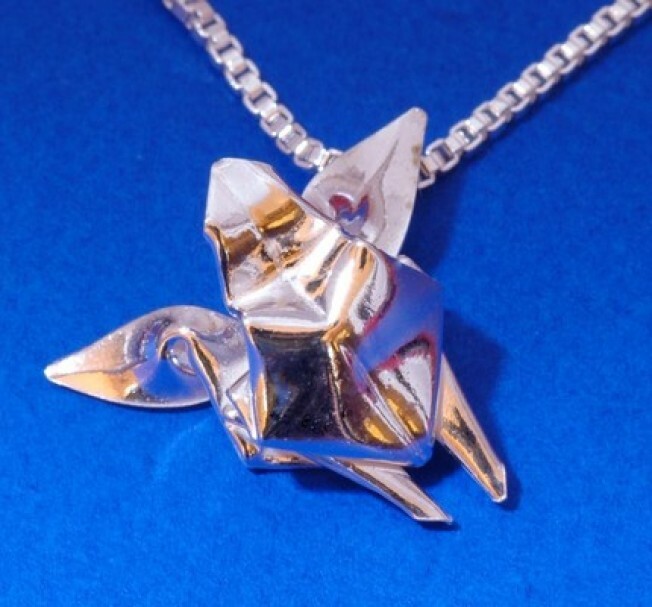 Origami is cool in of itself, but an origami sea turtle made out of silver and worn as a necklace? Awesome. ORIGAMI ON YOUR NECK: We're all for local artists and handmade goods, so imagine our excitement when we realized that we could use Etsy.com to find Bay Area artists selling their self-created masterpieces online. One favorite find? The metallic industrial creations of Handmade by Hapa, who specializes in hand-folded metal jewelry and sculptures. Check out the Origami Sea Turtle Necklace and Pendant, shown here, $68. SUMMER SALE: Women's clothing and accessory store Adorna Bella in North Beach is having a summer sale. Purses are 20% off and scarves are 10% off. While you're there, check out the bold, chunky jewelry created by Erin Hakansson.